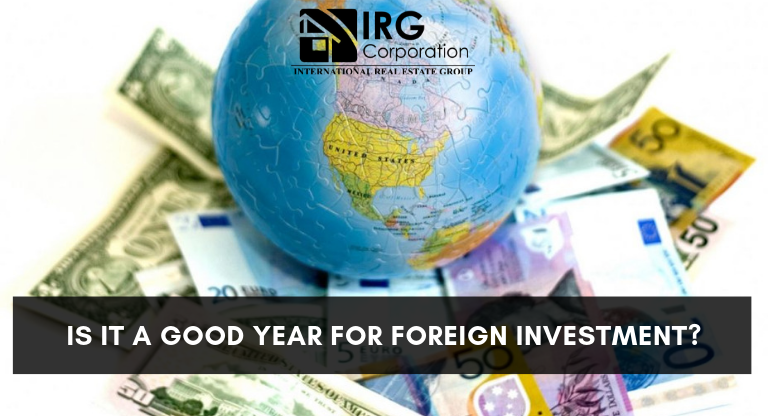 Is it a Good Year for Foreign Investors? the last few years the growth of foreign investment in all economic areas of the country has been growing exponentially, thanks to this many projects and future plans have been made concrete by also providing a number of opportunities for residents who They seek to buy or rent some type of real estate. Knowing that the dollar is one of the most solid currencies in the world, a lot of entrepreneurs born in other countries look for alternatives to find outlets for their money in order to find a profitable enough good for themselves and for those who they surround the different investments. It is well known that although South Florida has always been a niche for foreign investment due to the fact that a large part of its population comes from Latin American countries, allowing other investors to find business opportunities in these lands to expand their vision. global goal that is sought to maintain in this area of ​​the country. It is always advisable to do things with caution, seeking to find the best path for you and for the partners that can work with you and that is why you should always look for a specialized professional or a recognized information site in the area where you want to invest so that the approach is correct and the planning used covers everything necessary to achieve success. Florida is a territory that has always managed to remain stable despite the problems and that is why its market is one of the most robust and most profitable for anyone who wants to buy a property, invest in a project or simply live. If you are thinking of investing, do not be afraid to ask and receive adequate attention so that you can make the best possible decision.